For exterior applications, B.C. 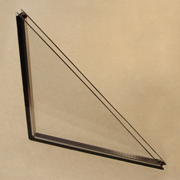 Door provides double glazed tempered sealed units to reduce heat loss as well as outside noise and improve safety & security. Where applicable, the use of Low E coatings, Stainless Steel spacer bar, and Argon gas are used to further reduce energy consumption. 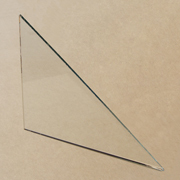 Interior clear glass applications are supplied as 1/4" (6 millimeters) thick, single glazed - thicker than most manufacturers that supply 1/8" (3 millimeters) thick glass for greater strength and security.